Johanna Flores This deal was verified and it is working as described. 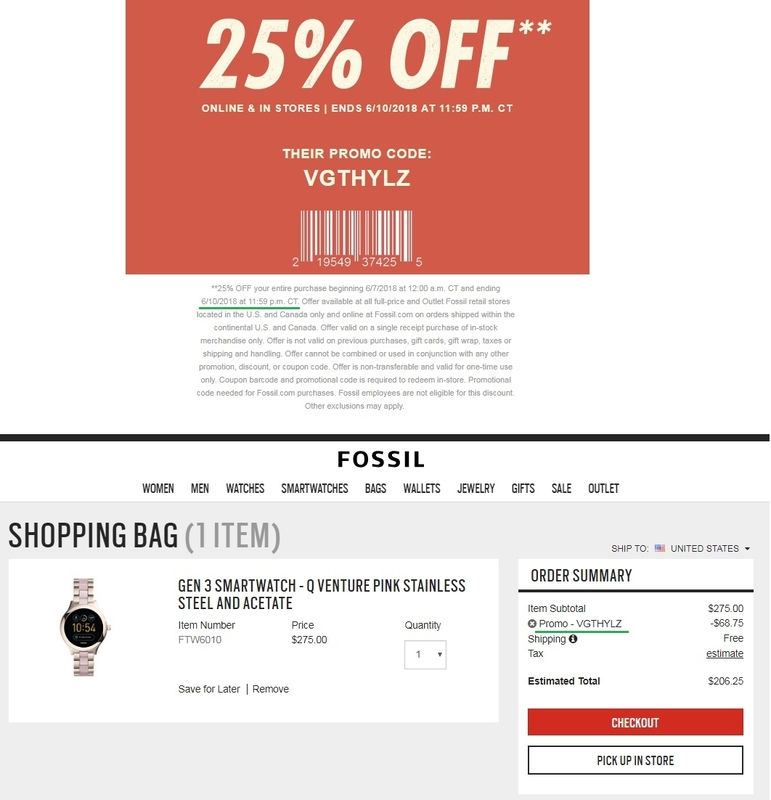 Select the items and enter the promo code <VGTHYLZ> at checkout to get 25% off your entire purchase at Fossil. Aura Perez Offer is not valid on previous purchases, gift cards, gift wrap, taxes or shipping and handling. Offer cannot be combined or used in conjunction with any other promotion, discount, or coupon code. Ends 6/10/2018 at 11:59 p.m. CT.